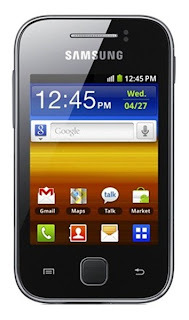 I am not all that found of Android phones with low resolution 240 x 320 screens like Samsungs Galaxy Y. Some Android apps wont run, or at least well at this resolution and web browsing is not all that much fun. If you are buying a low cost Android, I would advice adding 1-2K and get a phone with a higher resolution screen. But when Globe Telecom offers a phone we are not too crazy about (like Samsungs Galaxy Y) with at a Php299 a month 300MB per month volume data plan, well it changes my mind. Why, basically they are giving me a phone worth about Php6K, but I get to pay for it over 24 payments over the next two years totaling just a bit more than 7K. On top of that I get 300MB of data per month for the next two years. A smartphone without a data plan really is just a call and SMS phone which makes a good gaming platform and music player. While the Samsung Galaxy Y wont make a great gaming platform it is fine for data communications. With a volume data plan, all of sudden you can keep your instant messenger on the whole day, get updates from your social networks in real time and get your emails in real time. For these activities, the low resolution 240 x 320 screen of the Samsung Galaxy Y is more than sufficient. Web browsing, VOIP, uploading pictures and dowloading will eat up 300MB fast, but for internet communications it should really last a whole month. Data plans are also the best way to communicate with love ones abroad. Kudos to Globe for opening up the internet to more people at a very low price.